Phew! Get togethers to attend, parties to throw, pre-christmas/new year shopping, goodies to wrap, gifts to give (and get) and to top it all home made cookies, fruit cakes, pudding and pie...not to mention savoury three to six course meals...and then the 'pressure' to look calm, composed and welcoming...we women manage it all with elan...don't we! Here's a little something I thought the "busy queen bees" can do with...easy and quick recipes (my regular readers would notice that the past few posts here have been one-pot, no-fuss, no-bake stuff) that can double up as gifts too. First, clean and roughly chop the strawberries. In heavy bottomed deep pan, heat equal amounts of sugar and water. Throw in the star anise. Add the strawberries and keep stirring on medium heat till all the mix is of a pulpy consistency. Mash the strawberries with the stirring spoon while leaving a few chunks on. It gives a nice and rich fruitiness to the jam. Once the jam is ready,pick out and discard the star anise. Pack in pretty jars and store or gift. Or, serve with scoops of vanilla ice-cream as dessert. And I share this lovely jam with Purva's Christmas Feast Event (of Purva's Daawat). yes, the no text selection is not working....have sent u the code for it....use that (that same way as add a gadget-add html)...should work now...any problems....am just a scrap/mail away! 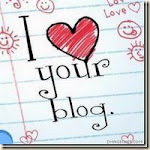 Na re...I can right click on the hyper links, on ur blog. ??????!!!! Teresa, yes the anise takes this jam to a whole new level. Try it. Wonderful gift idea! It looks delicious! Thankyou for sending these delicious and super fast jam to my event, they looks so beautiful and yumm. Wish i got a pot form one of my friends. Jenn, ur welcome dear. Hope u had a great day. Happy Cook, it was all my pleasure. Thanks Usha, I loved the color too...all natural. Me too Y, I love the surprise in my mouth. Hi Navita. 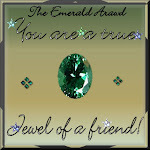 You have a lovely blog and I am glad to have met you through BloggerAid. You are right about strawberries, they are the best and I am jealous that it's your turn to have them now. We will have to wait until Spring to get them again. The use of anise in the jam sounds very interesting. Ivy, the pleasure is all mine dear...and yes I love strawberries any time of the year. Thank you for the lovely entry for the event..